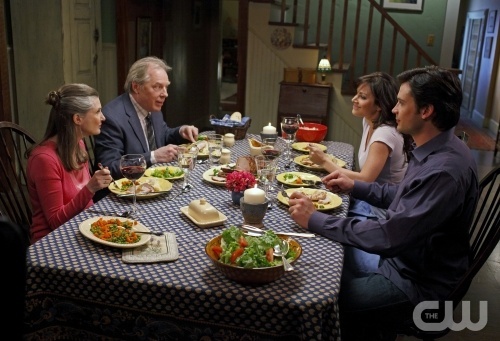 “Hostage” — Annette O’Toole as Martha Kent, Michael McKean as Perry White, Erica Durance as Lois Lane and Tom Welling as Clark Kent in SMALLVILLE on The CW. ©2010 The CW Network, LLC. All Rights Reserved.